The tree leaves change colors, stores stock pumpkin pies en masse, San Francisco finally starts getting its belated summer, and another Madden game releases; such are the harbingers of fall. It gets harder and harder to remember a time when there wasn’t an annual Madden as the years go by. Some present-day fans might not even remember when John Madden’s goofy mug adorned each box. I skipped out on buying last year’s iteration. With unfulfilled promises of a move towards a physics-based system, it was merely more of the same and I was content getting in a few games on occasional visits with sports fan compatriots that picked it up. While football is quite possibly my favorite sport, my enthusiasm for the series waned under the weight of better sports games, like MLB: The Show, the resurgent NBA 2k, and EA’s own NHL franchise. It was going to take a dramatic, notable change to get me back into Madden; surprisingly, Madden 13 mostly delivers, thanks to a newly implemented physics engine. 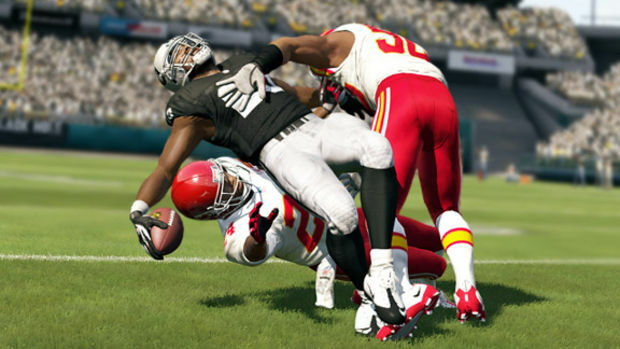 When I played Madden 13 at E3, I instantly noticed how much better it felt to play. Players had weight behind them and every hit felt impactful. The physics are instantly noticeable. Players can glance off hits and stumble or regain their balance after rolling on top of a defender, never having touched the ground. The idea is that no two plays feel alike, and the spontaneity and excitement inherent to sports is undoubtedly there. Any play can go for a big gain and plays don’t end when you see players enter into a familiar, canned tackle animation, like they used to. This realistic rendering of mass also helps loads on the blocking front, solely for the fact that putting a body in front of a defender will actually stop them properly, rather than leaving you to pray the opposing player doesn’t magically faze through your blocker. Punt return coverage is still shoddy. Your fellow special teamers still seem happy to let someone run by them and level you (or down a punt within the 20) as if you’d forgotten to pay them back for last night’s dinner. Otherwise, the results of two players meeting is infinitely more realistic, also helping in the running game and for gaining yards after the catch. Running backswill put their hand out on the shoulders of their offensive linemen running in the open field, though it’s possible to get decked by your own teammates if you run into them. Because of players’ abilities to bounce off tackles, hit sticks also are a bit more of a risk-versus-reward play. If you don’t line it up properly, a player can shake the tackle and keep going, whereas a more fundamental wrap-up tackle, while less flashy, is more consistent at bringing down a runner. 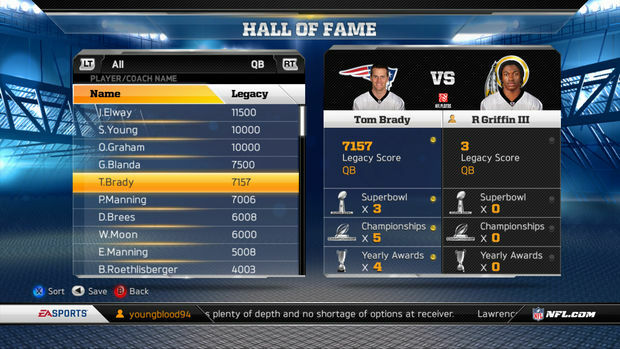 All of this contributes towards making Madden 13 the most fluid, lifelike Madden yet. The Infinity engine isn’t perfect. On one peculiar play, Clay Mathews, under my control like a fanciful puppet, had Eli Manning dead to rights on a brutal sack. Inexplicably, Mathews fell and Manning was able to squirt out a throwaway incompletion. Sometimes players that collide -- not even too forcibly -- will fly away from each other like force powers ripped them asunder. Players fall over stupidly a bit too often in the mini post-play cutscenes. A muscle tension system is meant to keep movements organic and realistic, stemming any ragdoll effects, but occasionally limbs look like they’ve been snapped, spines bend like jelly, and bodies otherwise move in ways that would make them perfect for Asian horror films. Thankfully, the nightmare fuel doesn’t really affect play. 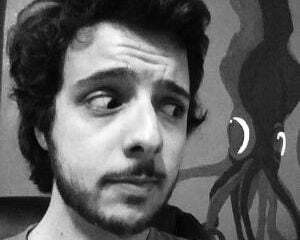 Bigger issues, like my robbed sack, are few and far between, especially when compared to the infuriating frequency of past iterations’ longstanding legacy issues, like balls that mysteriously change trajectory into a receiver's hands or players that are magnetically pulled into tackles (or magnetically repel tackles). A few other legacy issues have been addressed. Defensive backs need to have a line of sight on a ball to make a play on it; no more psychic DBs making impossible picks. Passing is also improved thanks to new throwing trajectories. As someone who has thrown around a football before, I’ve always been frustrated by the ineffectiveness of the lob/medium/bullet throwing options. Though I never quite felt I had proper control over it, better quarterbacks will now throw balls how they should be thrown, rather than leaving me screaming, “I could have made that throw” on interceptions made on corner routes. 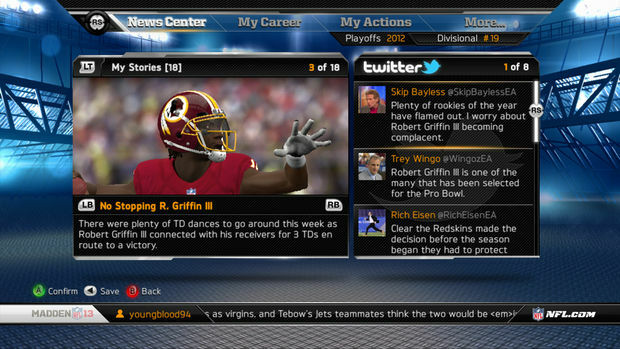 Madden 13 has also seen changes to the auxiliary modes, combining online Franchise, offline Franchise and Superstar modes under the all-encompassing Connected Careers umbrella. Through Connected Careers, you start a league, specifying on- or offline. Then, you choose between playing as an individual player or as a coach; online league creators will also choose whether their league accepts coaches only, players only, or a mix. If you choose an individual player, you play only as that player, akin to Superstar mode, and can sim all bits that your player isn’t involved in. The coach choice affords you all the abilities of the previously existing franchise mode: you can play as all players on both sides of the ball, manage your roster, scout incoming players, and so on. In both modes, you can choose to create a new being, giving life to either a new head coach or a new position player. You can also set back stories for players. A high-round pick is expected to contribute straight away (and possibly cut ties with quickly if they underperform), while being a lower-round pick might see you riding pine for a while. Similarly, you can choose to step into the shoes of an existing, modern-day player or coach, as well as NFL legends of yesteryear. At any given moment, you can “retire” from controlling an individual player or team and take control of another within the existing league you’ve been playing in, maintaining your persistence while letting you change things up if you’ve tired of your situation. The idea to forge all of these disparate modes together works beautifully, but EA Tiburon has done more than create a mere hub. Things like player progression have been dramatically revamped in Connected Careers, which has borne a system far better than previous generations. Individual players have set goals they need to reach to gain experience and can also do things like participate in practice drills before games to snag experience points. In the coaching mode, your specific coach also gains xp which can be put towards various perks; for example, providing increased xp yields for a particular position or increasing the coach’s chance to coax a player out of retirement. Individual players also still gain xp based on their performance, which you, as the coach, can allocate. Most managerial and non-football tasks can still be delegated, but it’s finally worthwhile and interesting to do them yourself. Trades, for example, now have more logic behind them than constantly changing the offered players into some combination the AI magically accepts (even if it’s plainly unfair). Still hanging around is the trading card-based Madden Ultimate Team, which remains a heck of a time sink. Madden Moments Live also persist, to be updated throughout the season with new scenarios to run through. Thankfully, the online multiplayer runs as smoothly as it ever has. It remains to be seen if that will continue when the servers are stressed as everyone begins picking up the game, but if NCAA Football 13 is any indication, the good latency should persist. The game does stumble in other areas, though. The commentary has never been more inaccurate. I didn’t mind the CBS-style HUD as much as I mind CBS’ actual broadcast overlay, but the duo of Jim Nantz and Phil Simms is maddening. They’ll talk about the defense “making great plays with tight coverage” when a wide open receiver merely drops a ball, offer, “Nice route on the outside” after a play over the middle, talk about a defense giving up “the short completion, then com[ing] up and mak[ing] the tackle” when a player runs out of bounds, and more. 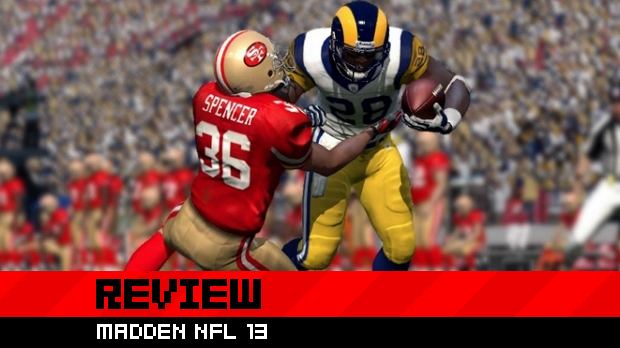 New, niggling concerns and abhorrent commentary aside, this is the most playable and robust Madden in years. The Infinity engine is shot in the arm the dulled, increasingly frustrated core gameplay needed. It makes plays more dynamic, fluid, realistic, and satisfying. Pairing a revolutionized base framework with the deep, much more fulfilling Connected Careers mode only gives players a good reason to keep playing. 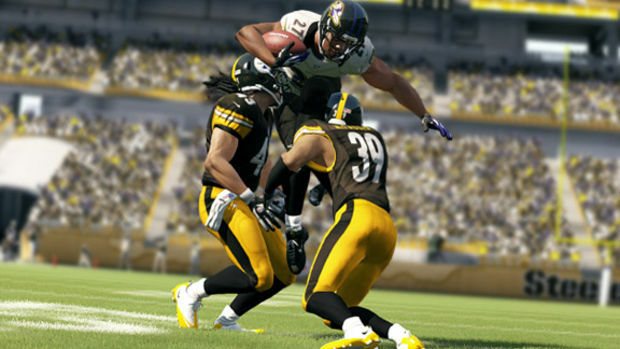 Madden 13 is breaking its way into the upper echelon of sports games.